A premium provider of gaming solutions Betsoft takes you to the snow-laden tundra in a 5 reel and 20 payline winter-themed slot called Yak Yeti and Roll. It looks like a goofy, cartoon-like game but behind all the playful screenplay there lies a highly engaging engine built around Betsoft’s proprietary ‘trail system’. You are invited to follow an eccentric Inuit inventor and his faithful friend Yeti on a path across the Arctic with cascades advancing their snowmobile trail to big bonus wins reaching no less than 92,750 coins. Trail is not all this medium-volatility game has to offer as Yak Yeti and Roll brings Cumulative Cascade Multipliers and Frosty Free Spins to keep you all warmed up during the cold winter days. HOW TO PLAY Uak Yeti and Roll? Betsoft are slot developers renowned for their propensity towards creating both appealing and engaging games. Yak Yeti and Roll is just such a product which not only looks great but also features a brilliantly conceived gameplay. 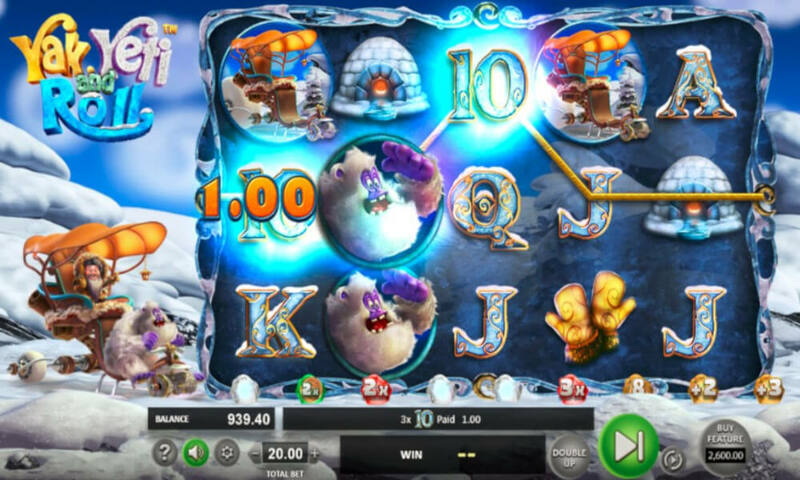 Wintery theme motifs dominate the screen in this 5 reel slot game with symbols depicting igloos, gloves, huskies, reindeer and our two main characters on their sleigh. These icons are all high-value denominations while the low paying symbols are represented through appropriately designed playing card elements – from 10 to A. Symbols pay from left to right and you will be getting a win for combinations of at least three matching symbols on any of 20 paylines, except for the Escimo Scatter who pays is pairs and on any position. Yak Yeti and Roll is a highly affordable game with a betting range starting at €0.20 per spin up to €20. Before you tap (or click) on that Spin button, make sure to adjust the bet level to your own liking and also go through other settings. Those who like to watch the action unfold automatically can always adjust the gameplay with the AutoPlay button. Impatient players can even skip a few steps and just straight to the bonus feature – which is discussed below – simply by buying their way into it. Yak Yeti and Roll is a game powered by the cascading mechanic. Symbols drop onto the reels from above and get pushed further below with a new spin. Winning symbols will disappear from the reels while the other remain in their position with the game thus rewarding the players with a free re-spin of sorts but there is much more to this cascading method. Trail of Treasures – Each winning combination, i.e. each cascade, sets sleigh into motion and pushes it across the snowmobile trail filled with all sorts of collectable goodies. Second consecutive win rewards you with a 2x your stake win, whereas the very next one gives you 2 the next cascade value. Sixth straight win will earn you a 3x multiplier; seven wins in a row give you 8 Free Spins. That’s hardly the end of it as next three wins reward you with further 2, 3 and 5 free spins, respectively. Want some more? You got it! How about the cumulative cascade multipliers? The 12th consecutive cascade equals 5x your next cascade value, whereas the multiplier goes up to the whopping 200x your stake on the 17th consecutive win. Frosty Free Spins – there are two ways to unlock the free spins in this highly amusing game from Betsoft. You can initiate the feature conventionally, by landing at least three Eskimo Scatters on the reels or you can simply buy your way into it. There is a button to help you do so in the bottom right corner. For a price of €130 you will jump straight into 18 Free Spins with a 4x multiplier active throughout. It can be a risky bet but it also can result in some huge winnings. Yak Yeti and Roll is a double-deal. Betsoft have successfully combined the entertainment factor with a huge-win potential to cater to both different needs of both casual players and those looking for a payout. One thing is certain, Yak Yeti and Roll have a bit of both and will be a popular choice with a wide gaming audience for a long time. This is a game built on a 5 reel grid with 20 paylines. It does not sound like much but, with an RTP of 96.54% and a medium volatility gameplay, it’s more than enough to keep you satisfied and rewarded. Powered by Betsfot’s proprietary ‘trail system’ and yeti driving the snowmobile across the prize-laden path, you can expect multipliers and cash prizes on almost all successive cascading wins. With 92,750 coins up for grabs in total, you’ll have more than enough reason to help yeti pedal its way through the snow. Players, we need your help with how we should to rank and rate these reviewed casino games. You can help us by rating this game, and if you really enjoyed playing Uak Yeti and Roll. 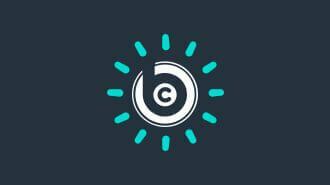 You can also share it with your friends on Facebook, Twitter and via email. For all freeplay games, if your free credits run out, simply just refresh the page and your balance will be restored.